Finding the perfect birthday decorations lays the groundwork for a memorable birthday. Make sure you have all of the must-have categories covered: balloons, streamers, and a big birthday sign to wish them a happy birthday. A great way to simplify the decorating process is to pick a theme. Themes can range from very general to detailed, depending on how much time you want to spend on them. For a more basic approach you can pick your child’s favorite color and find all sorts of decorations in that color. For a more personal look, it is always fun to find decoration sets that match their favorite TV or movie characters. Once you’ve prepared the house, the next important step is to find a great birthday cake. You should be able to find delicious sweets at your local grocery store or bakery, topped with a personalized message written in frosting. If you’re feeling up to it, a homemade birthday cake can be a more traditional option. Now that your home is decorated and the cake is ready, it’s time for the main event: the party! Whether this is a family gathering or a party for your child’s friends, birthday parties are a great way to celebrate your little one’s big day. Sending out personalized birthday invitations can let everyone know what you have in store for the day. Happy Birthday Teddy Bear - 19"
At 800Bear, we know that stuffed animals are more than just an inanimate object for children. Teddy bears can provide much needed companionship for any child. 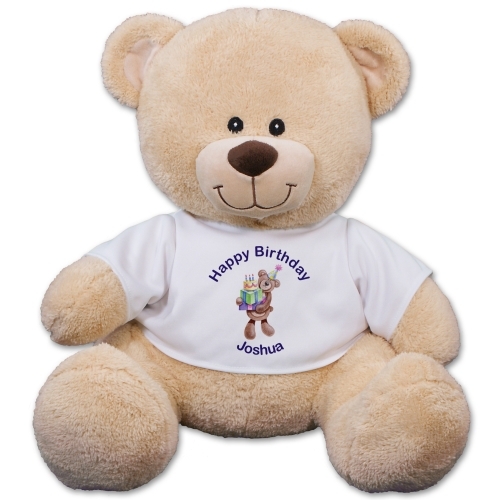 While you may be giving one of these personalized bears as a birthday gift, it's possible that this bear will become your child's best friend. We can never predict which objects children will get attached to, but we know that any recipient will love receiving one of our custom bears! 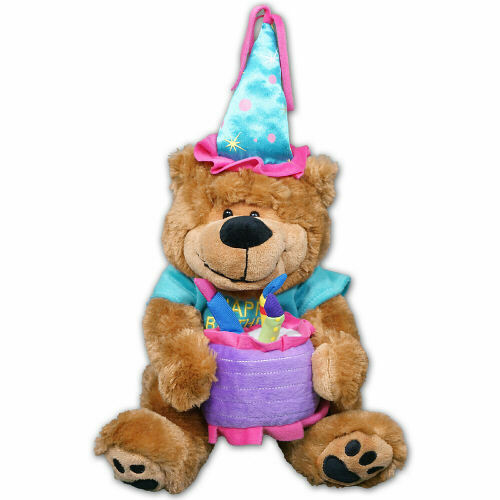 Check out more of our great Birthday teddy bears to find the perfect gift!